You already know how to leverage your relationships with your nonprofit’s relationships with supporters to raise donations! Your fundraising strategies, like social media campaigns, perfectly designed email appeals, unique community events, and others, have brought your nonprofit continued fundraising success. However, you might be more unfamiliar with how to best upgrade that support into a more structured membership. What’s the best way to convince a committed supporter of your cause to become a paid member of your organization? Many nonprofits struggle with encouraging these upgrades even after investing heavily in the tiered perks, levels of membership, and perfect membership CRM software. Continually growing your membership is the challenge. The key to membership growth is focusing on increasing donor engagement all-around. Why is engagement the key to boosting memberships? Your most loyal donors who regularly engage with your campaigns make fairly easy candidates for your membership program; simply promote it to them. It’s the loyal donors who don’t get very involved that represent an opportunity for major growth. That means it’s your job to get them excited, involved, and ready to join! Let’s get started. Using smart digital tools is a fundamental strategy for engaging donors of all levels because, simply put, they make it easier for donors to support you. Optimized donation pages for your website and online campaigns are a great start. This is particularly true when these forms report directly to your donor database, making it easier than ever to quickly identify your top donors who give regularly but still haven’t joined your membership program. This taps into a major best practice for boosting engagement and membership sign-ups: integrate all your tools with your CRM or donor database. Better yet, find a membership or association management solution that connects seamlessly with your CRM, like a fully native app for Salesforce. Cut out the middle integration steps and streamline your management and event planning processes by working directly in your CRM! Another smart way to increase engagement with an eye towards boosting memberships is to develop and conduct your most engaging fundraising campaign yet. Develop a blend of online and in-person fundraising strategies to achieve an ambitious or especially unique goal that the whole community can get behind. This will draw the most possible attention and engage more stakeholders. If you feel like you've been conducting the same types of fundraising campaigns over and over again, with less success each time, don't worry! There is a whole world of people in the nonprofit sector who want to help you break down walls with your next campaign. They are called fundraising consultants, and they are a surefire way to kickstart your next campaign. They can expose you to new ideas from other organizations, teach your team the most up-to-date best practices, and analyze your previous campaigns to maximize your success. If you're still looking for more, there are a number of ways to get your community involved in your campaigns like never before. What if your community did all your fundraising for you, simply by harnessing the power of their own social networks? To get started, ask your most dedicated members and volunteers to host their own peer-to-peer fundraising pages. Then you’ll set campaign goals, organize some events and challenges, and help your volunteers market their pages. These campaigns can be an excellent strategy for identifying prospective members. That’s because individuals within the networks of your volunteer fundraisers already have an organic connection to your work; the most interested among them will become apparent through the engaging events and contests you host. Another surefire way to engage supporters and encourage them to officially join your membership program? Show them what they’re missing out on! Distribute extra tickets to the non-members donors you identified as likely candidates in your last fundraising campaign. Offer limited time free admission to the event for all plus-ones of invited members. Open up admission to all your supporters, but create tiers of prices. For example, free for members, half-off for non-member plus-ones, and full price for non-members. Just remember to use an intuitive event planning tool able to incorporate all the nuances of your membership tiers, variable benefits, and multiple prices. Fonteva’s guide to Salesforce event planning can get you started off on the right foot. When planning an event for both members and non-members, it’s incredibly important to have the right data and management tools in place. Your community of supporters, be they members, non-member donors, or other stakeholders or constituents, appreciate your nonprofit because they believe in your mission and value the work that you do. Rallying your community around a special project to help your organization grow is therefore an excellent context for promoting a membership drive. Another example you might not initially consider is an important grant application process. Explain to your supporters that your nonprofit needs to boost its membership statistics to provide some concrete proof that its work fully engages the community. Nonprofit grant writing is never easy, but strong rates of membership growth ahead of your upcoming projects can make an extremely persuasive element as you build a case for your programming proposal! Using a specific, time-sensitive campaign can increase engagement in a few ways. First, it impresses upon the non-members that there is a tangible goal that your organization wants to achieve, and they can help you get there. This can incentivize people more than a campaign for other reasons could. Second, it can encourage members to reach out to their non-member friends. If they're already committed to your organization, they'll want to help you succeed. Don't be afraid to let your members know that they can help you through word-of-mouth, as well as through their financial contributions. Your non-member donors will want to help you reach your special goals, so promote a special membership rate during your drive to see major results. Matching gifts are one of the simplest and most effective methods for boosting donor engagement and encouraging involvement in your membership program! Some corporate matching gift programs are particularly generous, so be sure to do your research. Analyze your donor data or find a comprehensive screening service to automate identification of matching gift opportunities. Check out some of the top matching gift companies from 360MatchPro for an idea of the funds you might be eligible to receive! For your membership program, matching gifts could provide a major boost. Knowing that their initial membership dues might be matched could be the perfect motivation for some of your supporters to upgrade! The key to boosting matching gift revenue is to simply promote them whenever you can. Make a point of raising awareness of corporate philanthropy during your next membership drive and see what kind of difference it makes! One last, surefire way to boost engagement and encourage new members to join your nonprofit? Offer some incentives! Using incentives in a membership drive should work a little differently than simply offering rewards for donations, though. Both one-time and recurring incentives can be effective only if you offer tiers of membership levels and connect them together. T-shirts. Offer a branded t-shirt as a thanks for joining your entry level membership. Then explain that wearing the t-shirt to other eligible fundraising events in the future, like concerts and street fairs, will get the member another free perk each time. Tickets. Offer free tickets to a special event, either one of yours or one hosted by a partner like a local museum, in exchange for joining your mid-range membership. Then offer them repeated discounts on tickets in the future. Special invitations. Offer personal invitations and experiences at your next major gala or auction to those who decide to join your top-tier membership level. Prioritize developing close relationships with these members (and potential major donors)! As a bonus for all of these levels, consider including a special members-only newsletter or email campaign that they can now be a part of. If they're going to be fully-fledged members of your organization, they should be kept up-to-date on what's going on! Your team can send out biweekly or monthly updates on everything that your organization is doing, thanks to the support of these members. They'll be excited to know that their contributions make a real difference, and to see the fruits of those contributions. By fully incorporating your perks and tiered membership levels into one another, you can create a more appealing offer for potential members. A membership can be a significant commitment, so make sure your supporters know you’ll appreciate that commitment beyond the duration of your drive. Convincing your supporters to upgrade to a structure membership is a challenge shared by many nonprofits. Even when your loyal supporters regularly make donations, creating the proper incentives and motivations for them to take the next step requires some smart strategies. By boosting donor engagement across the board, you’ll lay a strong foundation for new membership appeals! 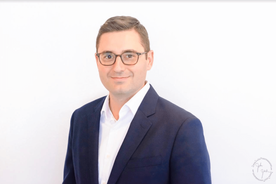 Jake Fabbri is the Vice President of Marketing at Fonteva, with over 18 years of experience working in marketing management. He has experience with lead generation, content marketing, marketing automation, and events.